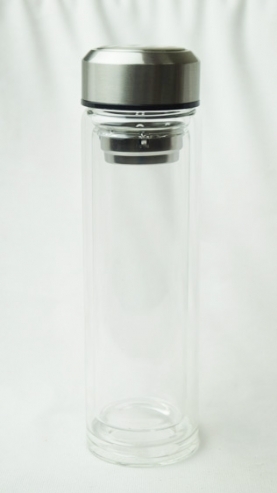 Double wall Borosilicate glass bottle with tea filter at the top. Tea leaves are filled in the filter, and hot water poured in the bottle. Double wall keeps your tea warmer for a longer time. 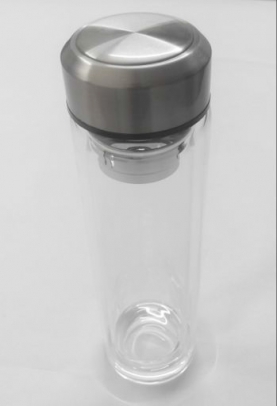 Also, unlike other tea bottles where tea infuser is at the bottom and tea leaves are left immersed in the water all the time resulting in bitter tea, this is a good design where tea leaves are at the top where you can easily control the infusion time.